The best and cheapest way to keep the winter chill away from your house is a crackling fire in your fireplace or wood-burning stove. But you can’t have a fire without wood, and the question of where and how to store all that fire fuel may be on your mind. 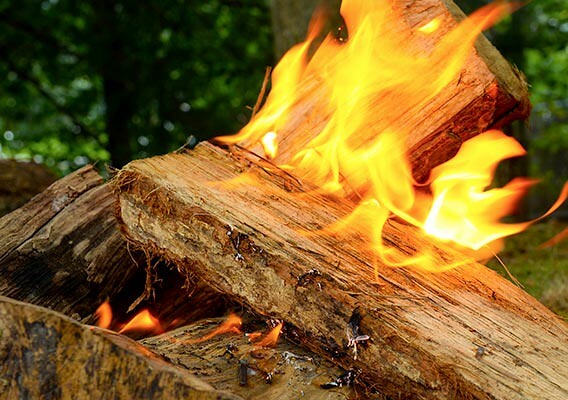 Follow these four tips for storing your firewood. You may wonder where, relative to your house, you ought to store your firewood. Too many people place the wood beside their house because it stacks so well there. That is a huge mistake! That dead wood is a magnet for termites. The last thing you want to do is give termites an invitation into your house! If you already have termites or have been storing your wood against the house, you might want to contact a pest exterminator professional, like PermaTreat Pest and Termite Control. Rather than stacking the wood next to your house, store it far away, but in an area where you have easy access, especially if you live in snow country. Don't place it against any structure, not even a plastic shed. Why? You want that stack of wood to breathe. If it does not, the moisture will make it no longer usable for firewood. That wood needs to breathe on both of the long sides. Since firewood needs to breathe, then it won't do to just throw the wood in a pile. Also, you need to keep the wood from falling. Use treated 2X4s on the ground to keep the wood from touching the wet ground. On each end of the pile, build a log cabin-style end that will keep your pile from falling down. Stack the pile no more than four feet high and have each pile be only one stove-length deep. For optimal burning, it’s essential to protect your firewood. A tarp will keep the wood from getting rained and snowed on. Since the wood pile has to breathe, the tarp needs to allow the wood to be exposed along the sides. You don't want the rain to be able to fall on the sides, but you do want the pile to breathe and not get moldy and decay. You can also store the wood in a shed or barn, as long as there is plenty of air flow. Don’t keep the door closed. You will obviously come to the conclusion that you don't want to venture out in the rain and snow every time the fire gets low in the wood stove. You can get a fancy log holder, a cheap one, or even a heavy wooden box to store your night's supply of wood inside the house. This way, you can feed the fire while staying warm and dry. A good wood pile is your best investment towards winter warmth. Just keep the pile away from structures and cover it with a tarp, so it can breathe. Use log cabin-style ends to hold you pile of stacked wood in place, keeping it off of the ground. Bring in a night's worth of wood when you come home from work.